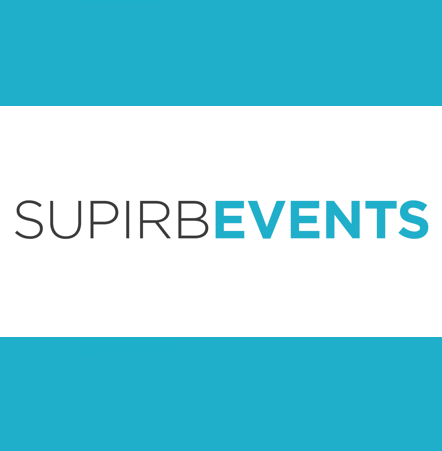 Join us at the beautiful Pan Pacific Hotel, check out some fantastic new linens by BBJ Linens, and let David share the Secrets of Success! 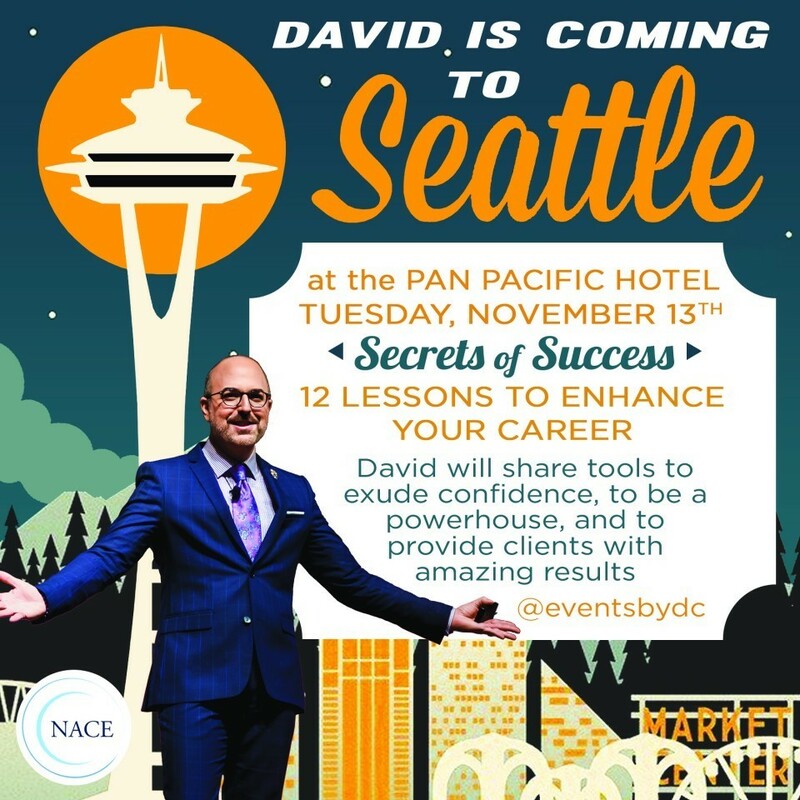 David will spend the evening sharing tips and tools for managing your business and enhancing your career. As an internationally celebrated event planner and designer, David Caruso is known for the creativity, elegance and attention to detail that is evident in every event he designs. Caruso is extremely well known for producing elegant and elaborate events over the past 16 years since he’s been in business. He has transformed ballrooms into fantasy lands and backyards of private estates into magical expressions of his client’s style and personalities. Recently, David has produced events in Wisconsin, Chicago, Miami, Seattle, Scottsdale, San Diego, Hawaii, Puerto Rico and the West Indies. David is also a professional speaker hired to present on the topics of weddings, lifestyle, business, design and more, having conducted speaking appearances all over the country. David is a fixture on Milwaukee’s NBC show, “The Morning Blend”, presenting his popular “Entertaining in Style with David Caruso” segment. He has made guest appearances on television news and talk shows in Chicago, Phoenix, Denver and Washington DC as well as contributed to radio outlets nationwide. His work has been featured in key print publications including the nation’s leading bridal magazine, BRIDES Magazine, as well as Catering Magazine and others. David has served two terms as the President of the Southern Wisconsin Chapter of National Association for Catering and Events (NACE). In 2014, David received three top national awards from NACE in the following categories: Best Table Production of the Year, Best Wedding of the Year—Budget Greater than $100,000.00, and the ultimate industry accolade, Event Planner of the Year. 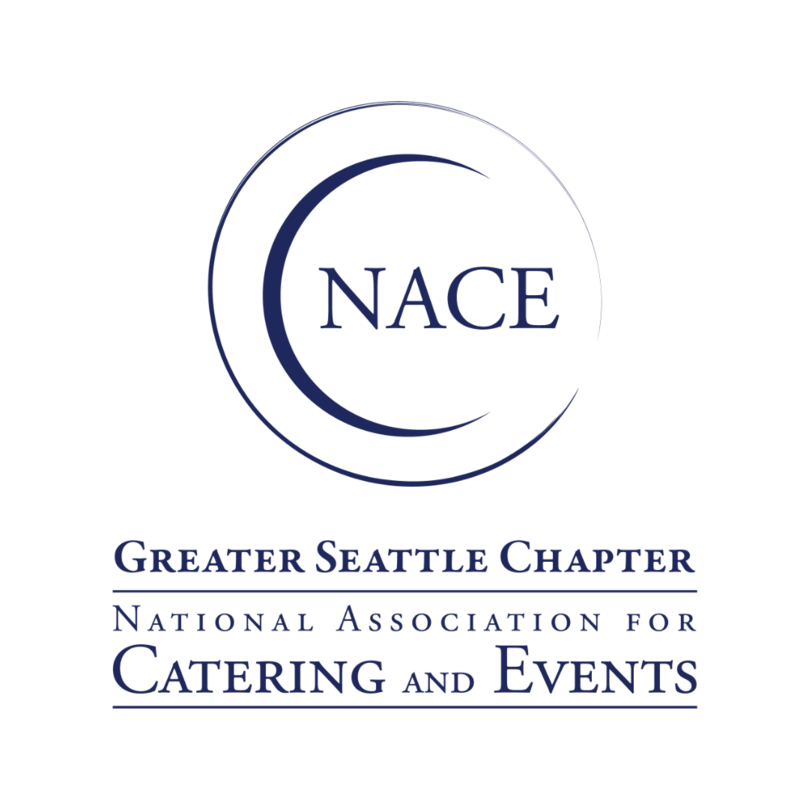 In July of 2013, David was awarded “Best Catered Wedding Event of the Year - Budget Greater than $75,000.00” from NACE. At the beginning of 2013, Special Events Magazine included David on their annual 30 Under 40 feature - a list of 30 young event professionals from around the globe gifted with both the talent and drive to take our industry to the next level. At the start of 2012, David was named by The Business Journal as one of Milwaukee’s Forty Under 40 - featuring profiles of 40 Milwaukee-area individuals under the age of 40 who are making a difference in their professions and communities. In the same year, he was named by M Magazine as one of 11 Milwaukeeans who make a chic statement through their personal style. Additionally, David is one of the producers of Milwaukee’s Magnificent Bride Wedding Show which is Wisconsin’s premier wedding industry event of the year.